A historic place of worship in Moray has had plans approved to create a new car park to help cope with a huge increase in visitor numbers. Transparent silhouettes have been set up at a Moray attraction to represent war dead from the region. Pilgrims have returned to Moray after recreating the journey the monks that reformed a celebrated place of worship made seven decades ago. The Lord Lieutenant of Moray for the last 13 years has been made a Commander of the Royal Victorian Order. A colourful oil painting depicting intricate features of a historic Moray landmark has been unveiled. Hundreds of soldiers have paraded through the centre of Elgin and Inverness as part of a stirring homecoming. The bells of a Moray monastery resounded yesterday to welcome back pilgrims from a massive 1,300-mile journey. 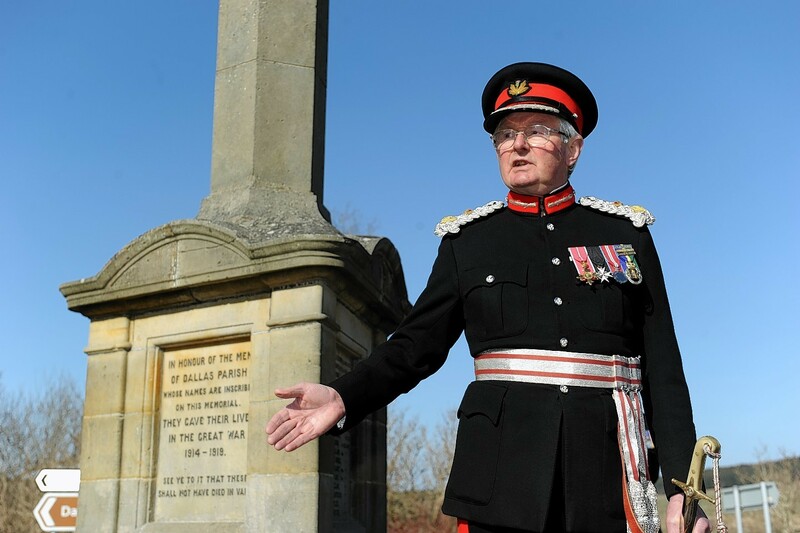 School children will take part in a moving ceremony to mark the centenary of the World War I battle that claimed the lives of hundreds of Moray soldiers. A shortlist of designs to showcase Elgin's rich heritage has been unveiled. Motorfun revved to new limits yesterday as bumper crowds packed the family fun day in Elgin. Mystery benefactors have swooped in to save Elgin Museum from the brink of bankruptcy. Late last year, Moray Council sparked fury across the region by denying the venue a "sink or swim" appeal for a one-off grant of £44,500. The Moray Society, which runs the attraction, was left "hugely disappointed" by the funding blow - which left the operation facing an uncertain future. But yesterday, members revealed that the council's decision "angered" three local supporters so greatly that they banded together to amount the £44,500 themselves. Society president Grenville Johnston was blown away when he learned of the staggering donation. He said: "I was overwhelmed, this is such a generous gesture. "We have had three supporters step up to say they want to help, and that has been so heartening." Mr Johnston said he received a letter which outlined the benefactors' reasons for choosing to back the venture. He added: "They told me that they felt Elgin Museum represented a very important part of tourism in Moray. "The letter highlighted our archive, and our volunteers' knowledge of the area's history. "The benefactors said they were very anxious indeed to help that continue." Vice-chairwoman Janet Trythall added: "These people were so angry with the council's decision that they wrote a cheque." However, management at the cash-strapped attraction said the donation offered the venue a reprieve, and would not alone guarantee its future. They will use the cash to implement a string of improvements across the next three years to secure its long-term viability. Members had asked that the council split the sum into annual tranches of £18,500, £15,000 and £11,000. But, during a meeting of the authority's economic development and infrastructures services committee in December, members voted seven to six in favour of rejecting the request. Fochabers Lhanbryde councillor Douglas Ross had appealed for his fellow committee members to grant Elgin Museum's funding request. But he was removed from the group ahead of the crucial vote and had to watch from the sidelines as the application was dismissed. Last night, Mr Ross said: "It was clearly very disappointing when the council decided not to financially support the museum, despite a very strong case for doing so. "I'm absolutely delighted to hear of this extremely generous donation, which will ensure the Moray Society's great work can continue." Elgin Museum was established in an A-listed building on the town’s High Street in 1843, and the venue is now the oldest of its kind in Scotland. It exhibits an array of treasures native to the region and from further afield, including more than 900 fossils, Roman coins, Pictish symbol stones found near Craigellachie and artwork by John Constable and J.M.W. Turner. Moray MSP Richard Lochhead visited the venue yesterday as part of a national drive to highlight Scotland's historic collections. Mr Lochhead said: "In these times of financial constraints, it was a pity that Moray Council felt unable to support the museum. "But this very generous donation from a local supporter has helped save the day. "Going forward, I hope the council is able to identify funds required to support the venue over the coming years. "Elgin Museum is a hugely valuable asset for the local community, allowing us to remain connected to our history and heritage. "We're lucky to have this beautiful building which tells lots of amazing stories about Moray's past - and that is priceless." Mr Lochhead said it was also important to recognise the multitude of backers who had pledged the enterprise donations during its time of need. 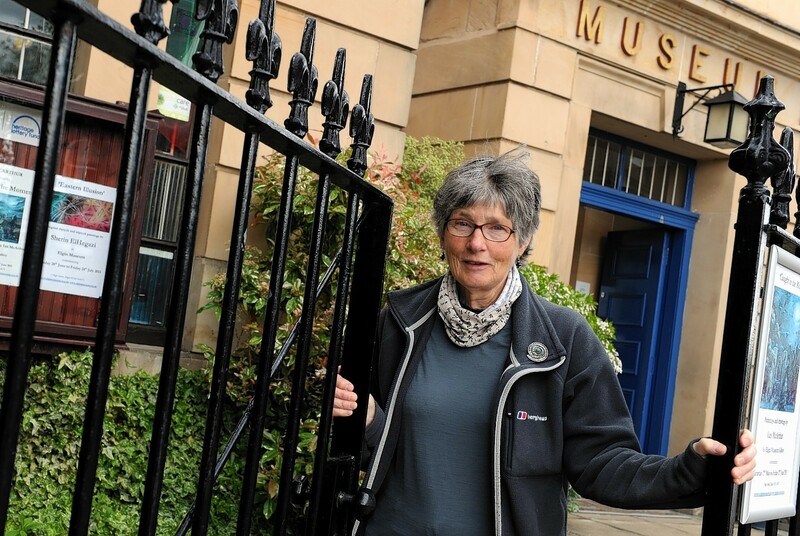 Elgin Museum will fight to remain afloat, despite Moray Council denying the venue its "sink or swim" funding application. The Lord Lieutenant of Moray has announced the appointment of two new deputies.